HomeFinancial PlanningCan I have Your Attention Please? Did that headline get your attention? 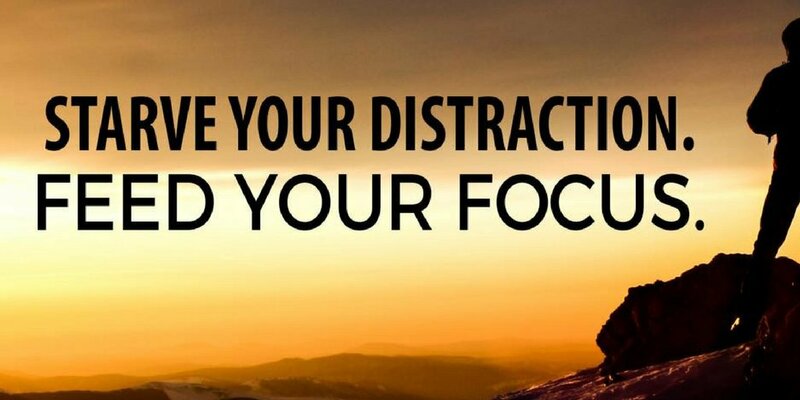 There are hundreds of distractions around us every minute of the day. It used to be just billboards along the highway, a few advertisements between your favorite radio songs, or those dreaded commercials during your prime time TV viewing hours. Now, it’s everywhere – your phone, your computer, screens at work, in the bank, at the gas pump, in the gym, all seeking your eyes and willingness to listen. It’s quite possible Siri or Alexa are trying to get your attention right now. Today’s instant headlines around investing, our economy and global finance have become the new norm all day long, changing the way you view your longer term financial and investment planning goals. The daily changes in the stock market may be the most reported news outside of the weather. It’s accessible to us 24/7 online, everywhere. Volatility in the markets will always be a part of investing. If our concerns and interests are too focused on short-term market behavior, there’s less attention to issues that have more to do with wealth accumulation and preservation. Our minds quickly gravitate to interesting topics, some just more dramatic than others with ultimately short-lived issues (daily market ups and downs). If one were to look at months or years instead of days, financial news could still be interesting, yet it becomes less dramatic (long term personal goals and sensible risk management). Being a long-term investor draws your attention away from those flashy billboards (now these ads are on our phones more than the highway) and short-term headlines. From government shutdowns to bitcoins, and hey, whatever happened to Greece (still in working progress with the EU)– remember those headlines? It’s time to recapture your personal space from this ecosystem of interruption technology. Use your phone for making phone calls. Get market updates from a daily newspaper. Create or update your financial plan once a year. While this may sound less exciting, it will still grab your attention, and quite often with financial news, less is more.